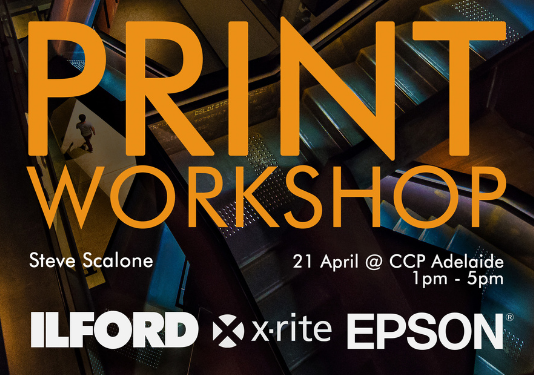 Join Steve Scalone in a practical workshop on an easy to understand portrait lighting and colour management demonstration to achieve print ready files just in time for the SA AIPP Awards. Whether you decide to print yourself or use a professional lab, an explanation on colour gamut, print profiles, post production techniques and paper choice will let your image shine! All participants are encouraged to bring their own files for print on a USB or hard disk drive. Various ILFORD GALLERIE Paper will be available on the day to experiment with paper types.